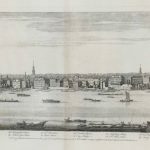 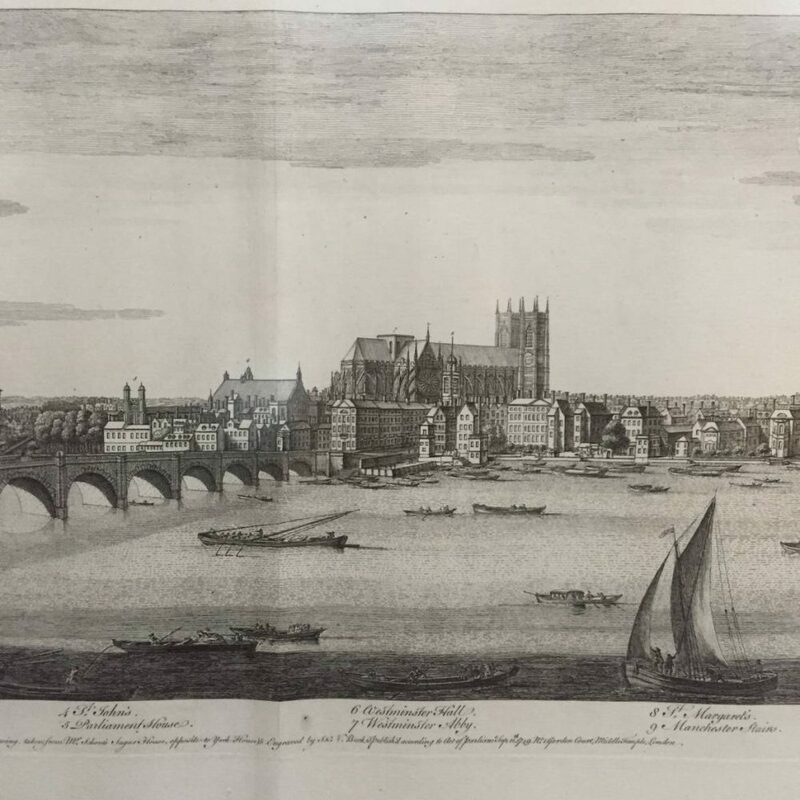 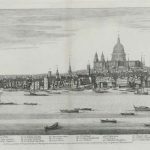 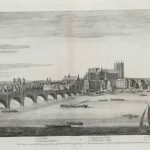 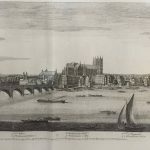 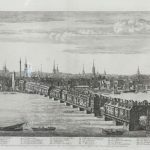 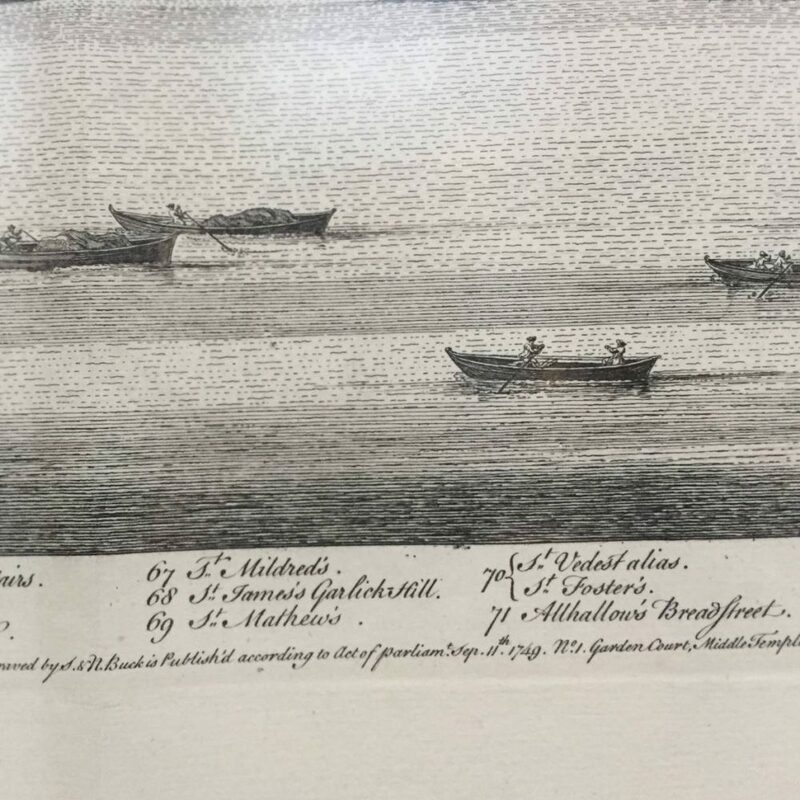 This rare set of five engravings offers a very detailed view of mid-18th century London from Westminster Bridge to London Bridge with numbered captions identifying many landmarks. The views are taken from several different vantage points across the Thames. 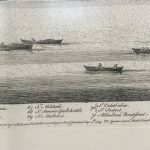 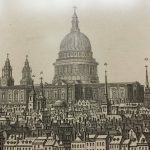 Samuel and Nathaniel Buck published a number of large engravings of English city scenes but this London series is their most significant effort. 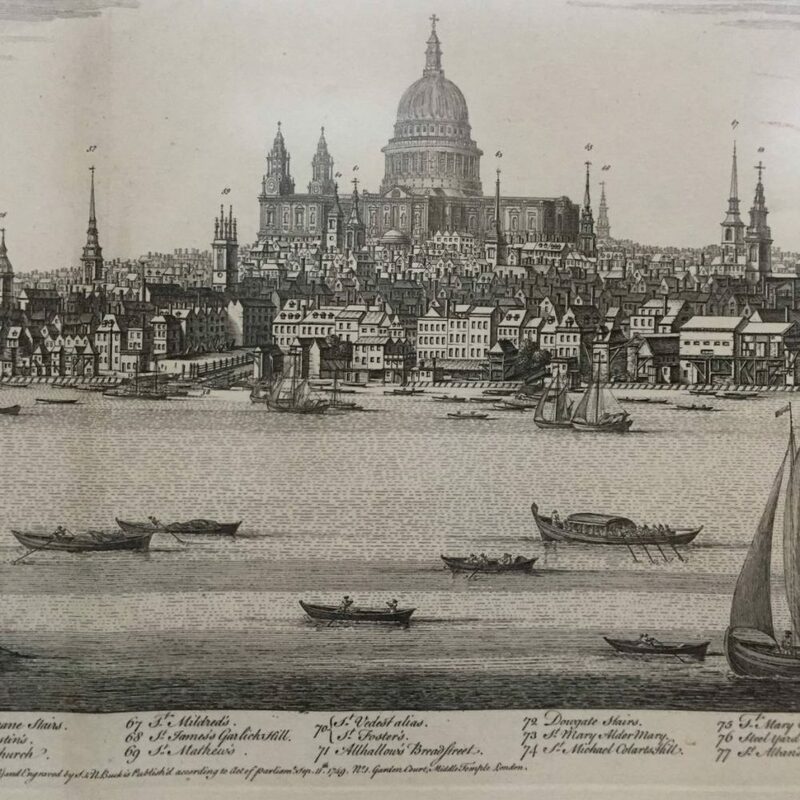 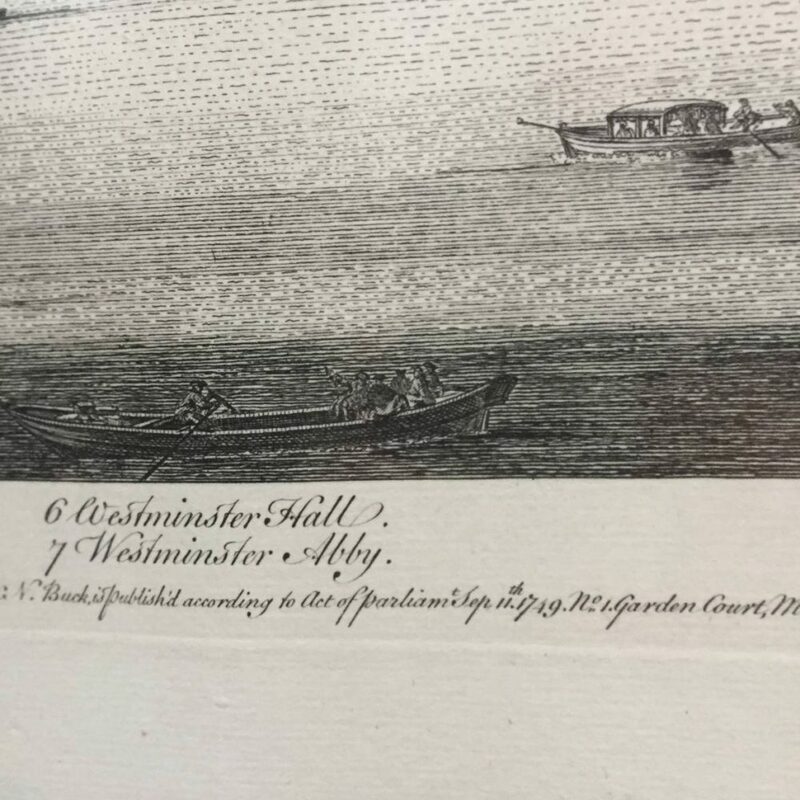 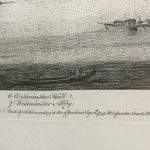 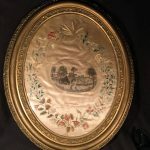 These London engravings are all strong impressions on good 18th century laid paper with good margins and overall excellent condition. 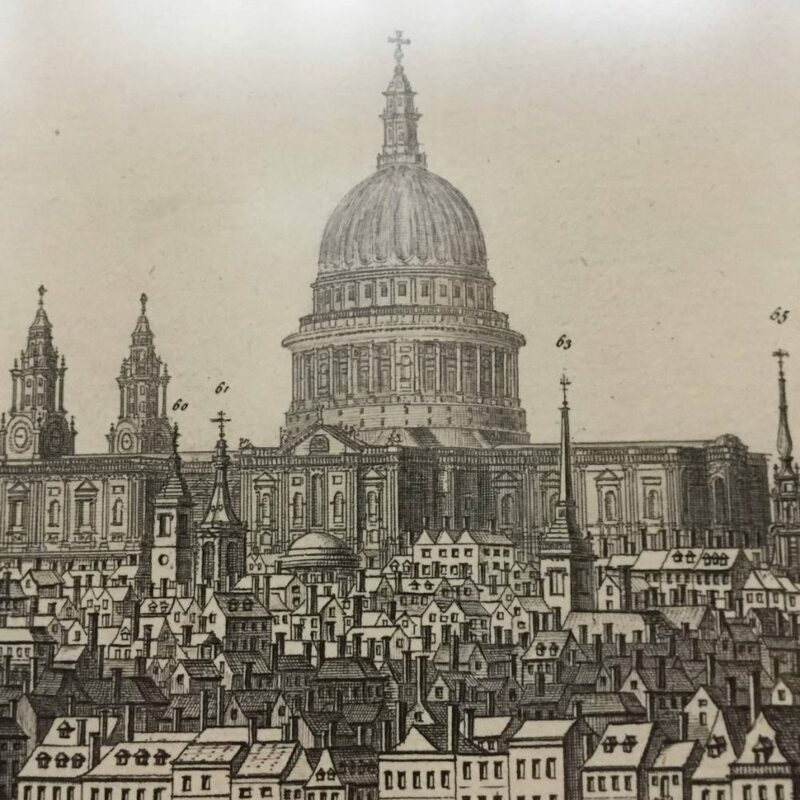 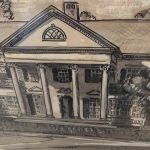 Christie’s London sold a set of all five prints that had been cut and joined together to make a single 13 ft. long work with later coloring that brought $8700GBP. 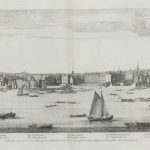 England, September 11th, 1749 c.
32.5 X 5 image size"